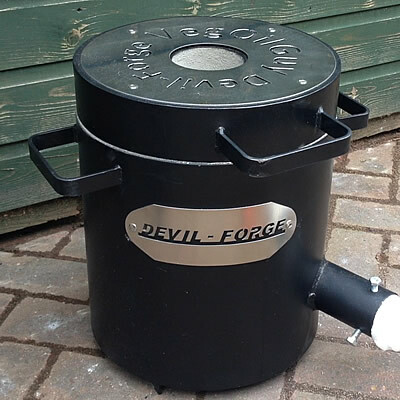 If you've come across Devil-Forge foundries, then like me you may be a little cynical. Just 10 minutes on YouTube seems to have these forges popping up everywhere. Lots of YouTubers seem to have them. And that made me think it was just a marketing scam. When it arrived, the box was a little battered, which was not their fault of course, but it clouded my mind a little. Then I opened the box and found what I thought was a small foundry - too small I thought. But I was wrong. In testing, I found that the Devil-Forge foundry was very spacious internally, with plenty of room for my large A6 crucible. I also found it heated it very quickly and I did two test melts, one Aluminium and one Bronze. It didn't phase this forge at all. Together with the burner that Devil-Forge sent me, this is a fantastic combination and a must for any metal melting enthusiast.